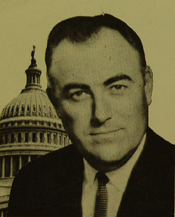 The papers of Don H. Clausen document his congressional service from January 1963 until January 1983, as well as selected materials relating to his career and public service since 1983. The papers document Don Clausens work with congressional committees, government agencies, constituents, colleagues, political organizations, and the media. His committee service was primarily with the Public Works and Transportation and the Interior and Insular Affairs committees. Highlights of the collection are materials relating to the creation of Redwood National Park (in 1968) and its expansion (in 1978), securing the funding for the Lake Sonoma/Warm Springs Dam project, the King Range National Recreation Area, the Golden Gate National Recreation Area, establishing the 200 mile fishing limit off the US coasts, the forest products and wine industries, the rivers -especially Eel, Russian, and Klamath, Native American concerns, and aviation - especially aviation education. A finding aid for the papers is available in the repository and online.